Tangie and Chocolope have to be DNA’s best two Sativas! Chocolope x Tangie results in Award winning Chocolaty Citrus buds! Tangilope will demand the highest price for a sativa as the exotic smell matched with frosty nugs make not only the taste but the bag appeal a instant favourite with one being fruity citrus and the other chocolate cream! 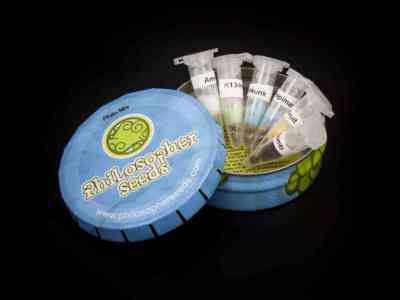 Expect to see Fast growing plants in vegetive and mostly sativa buds with a very intense Terpene profile! Tangilope will finish in 9 weeks bringing above average yields and a very easy plant to grow! Expert growers can challenge the Tangilope and push her nutrient levels for maximum production, as well as beginner growers or first timers can also have great results as Tangilope is very easy to grow and forgiving of basic mistakes.. Either way beginner grower or seasoned veteran the Tangilope is your Sativa!